Super Tuesday show that the "establishment" Republicans better start taking notice of Governor Palin and her powerful voice in influencing the Republican Electorate. Governor Palin's endorsements of Carly Fiorina, Nikki Haley and Terry Branstad helped them win their primary or move into a run off . I saw this interview (linked below) over at one of my favorite sites, PalinTV.com. It shows Governor Palin to be humble and trying not make a lot out of her endorsement. Clearly those endorsements made the biggest difference in these races but Governor Palin humility prevents her from being a glory hound. How refreshing is that? I also read this article "Palin's backing pays off for pals" at POLITICO, that shows Governor Palin's endorsements paid off. The best thing in this whole process is the endorsed candidates know what put them over the top and don't mind giving credit where credit is due. Earlier I mentioned PalinTV. Well here is a clip I saw over there of Nikki Haley talking about the Governor endorsement. SO Republican Establishment take notice and give credit where credit is due. I won't even ask the lefties to give credit where due because their hatred of the Governor is too deep for them to see the light. 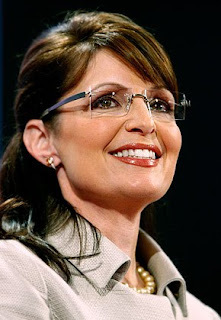 Former Governor Sarah Palin is the new voice of Conservatism! UPDATE: (via Politico's Ben Smith): I haven't been able to reach McGinniss, but did send an errant email to his son, the novelist Joe McGinniss Jr., who replied, "Sadly, she's right. We tried our best to intervene, but alas, the heart wants what it wants. We can only pray for him now. He's convinced that Todd will step aside and when the time is right, he'll be there, right next door, to pick up the pieces." Wow, talk about creepy! That certainly meets the standard if you ask me. The publisher of his book is Random House, I wonder why they support such actions. There are so many excellent Palin supporters and writers out there that write so much better than I. I thought I would share some of them with you. Check out a little bit of what they are saying on the subject of Mr. McGinniss by clicking on the links below. Yes, that Joe McGinniss. 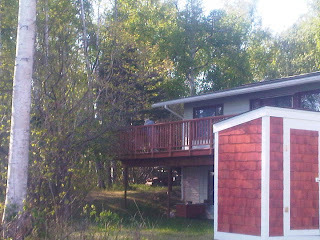 Here he is – about 15 feet away on the neighbor’s rented deck overlooking my children’s play area and my kitchen window. Maybe we’ll welcome him with a homemade blueberry pie tomorrow so he’ll know how friendly Alaskans are. Joe announced to Todd that he’s moved in right next door to us. He’s rented the place for the next five months or so. He moved up all the way from Massachusetts to live right next to us – while he writes a book about me. Knowing of his many other scathing pieces of “journalism” (including the bizarre anti-Palin administration oil development pieces that resulted in my Department of Natural Resources announcing that his work is the most twisted energy-related yellow journalism they’d ever encountered), we’re sure to have a doozey to look forward to with this treasure he’s penning. Wonder what kind of material he’ll gather while overlooking Piper’s bedroom, my little garden, and the family’s swimming hole? Welcome, Joe! It’ll be a great summer – come borrow a cup of sugar if ever you need some sweetener. And you know what they say about “fences make for good neighbors”? Well, we’ll get started on that tall fence tomorrow, and I’ll try to keep Trig’s squeals down to a quiet giggle so we don’t disturb your peaceful summer. Enjoy! Hi, Neighbor! May I Call You “Joe”? how things were done in Washington. this is more of the same... "Just Words, Just Speeches". intend to show Governor Palin she has a large base of support. It amazes me how often the media seems to purposely misreport events as they relate to Governor Palin. Yesterday I ran across a story online with the headline: "Palin loads up on freebies at Oscar gifting suite". I reeived a copy of this release below from Meliss Lemer Co-Owner of The Silver Spoon that sets the record straight. The "mainstream" media has been called the Lamestream media by many, THIS kind of reporting is a perfect example of why they are called that. Whatever happened to reporting the facts? Come on media do your job! Report the WHO, WHAT, WHEN and WHERE and stop the spin and personal attacks. Untruthful Articles Re: Palins taking free stuff in LA. The Silver Spoon, a company owned and operated by women and established with a firm belief in supporting women in business and leadership, invited Governor Sarah Palin and her family to participate in a charitable function sponsored by The Silver Spoon and the Red Cross to support the Red Cross’ disaster relief efforts in Haiti. Governor Palin graciously accepted since it was in support of such a worthy and timely cause. The governor arrived with a small group about 15 minutes prior to our store’s official opening; and upon arrival, she and her entire group gave generous donations to the cause. We offered to open early to accommodate her schedule; she did not ask us to open early. The other venders routinely set up an hour before the event opens, so they were already there when the governor arrived. No one was asked to come in early. 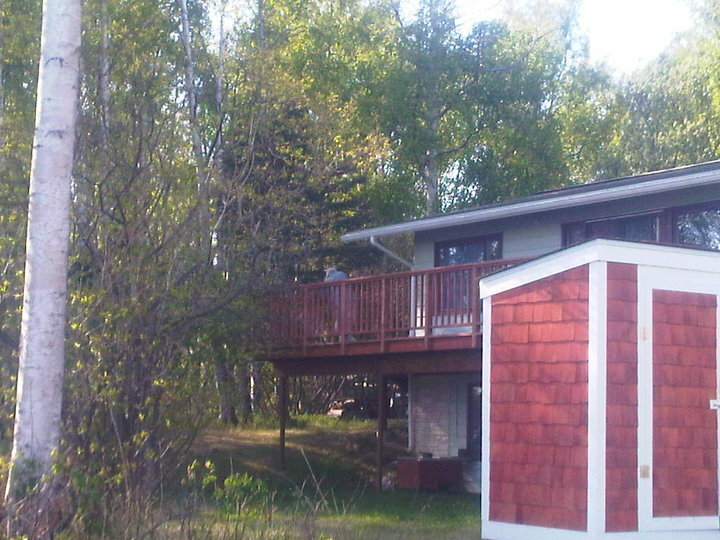 When Governor Palin arrived, she and her guests made generous donations. I escorted her around and introduced her to every vendor, and they talked to her about their products and gifted her with samples. She never asked for anything but politely accepted the products. The governor and her family and guests were very gracious and respectful to everyone. We asked and the governor happily agreed to take a photo with the American Red Cross staff and the staff of The Silver Spoon. The governor stayed for a total of about 35 minutes, thanked everyone, made an additional generous personal donation pledge to the Red Cross, and then departed. Just to clarify things, the entire point of giving someone a swag bag is to have them take your product and hopefully purchase more. The whole point of giving away products is to “give them away.” That’s why we call this type of event style a “gifting suite.”We would like an immediate retraction and an apology to The Silver Spoon, its vendors, and especially to Governor Sarah Palin. Facebook Page "Americans for Sarah Palin" Are they really!? "Americans for Sarah Palin" Are they really!? 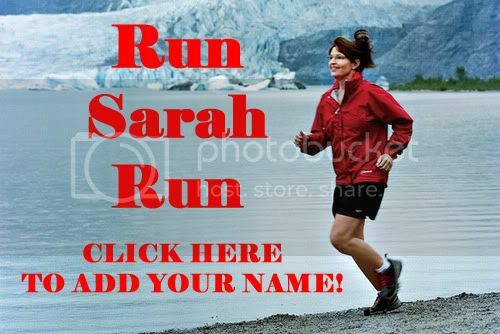 There are many good Facebook pages out there supporting Governor Palin. A few out there seem to be all about trashing Governor Palin. One in particular that saddens me is "Americans for Sarah Palin". Seems like most of the comments there are nothing but anti Sarah Palin trash. I wrote their "Admins" on a couple occasions and have not heard back. I think this group actually started out as a Pro Sarah group but it sure does not seem that way now. They have nearly 145,000 members who I bet, thought they were joining a Pro Sarah group. I can no longer post on the page so I assume they have banned me. I had posted a comment asking where the Admins are and why do they allow such trash... I guess they did not like that. If you are a member of that page why don't you ask them why do they seem to come across as a Pro Sarah group but really are all about making Governor Palin look bad? I am constantly trying to grow our 2012 DRAFT SARAH COMMITTEE Facebook Page so if you are on Facebook please feel free to join us. When Governor Palin first announced that she would attend the Southern Republican Leadership Conference (SRLC), rather than the Conservative Political Action Conference (CPAC), quite a bit of talk ensued. Last month, the 2012 Draft Sarah Committee sent out an Alert announcing our support of her decision. CPAC 2010 began last Thursday, and the conversations about her decision not to attend began again. Now that CPAC has ended, we turn our attention to the upcoming SRLC. SRLC is considered to be “the real proving ground for gauging A POTUS Run,” as Ron Devito, 2012DSC supporter, points out in his article, “Why Gov Palin Chose SRLC Over CPAC.” He cites Politico and CNN. Both point out why SRLC is an essential place for potential presidential candidates to appear. Devito also highlights many of the issues that factored into Governor Palin’s decision to choose SRLC over CPAC. 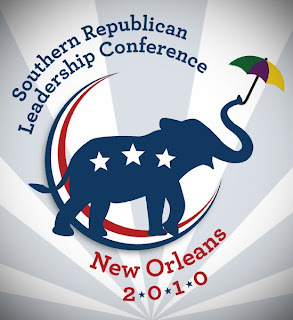 Inasmuch as this committee’s goal is to encourage the governor to run for president in 2012, we very much look forward to her attending SRLC in April and learning the results of that particular straw poll. In fact, what would be even better is for many of her supporters to go to New Orleans and participate in the poll. Read Ron Devito’s article here.